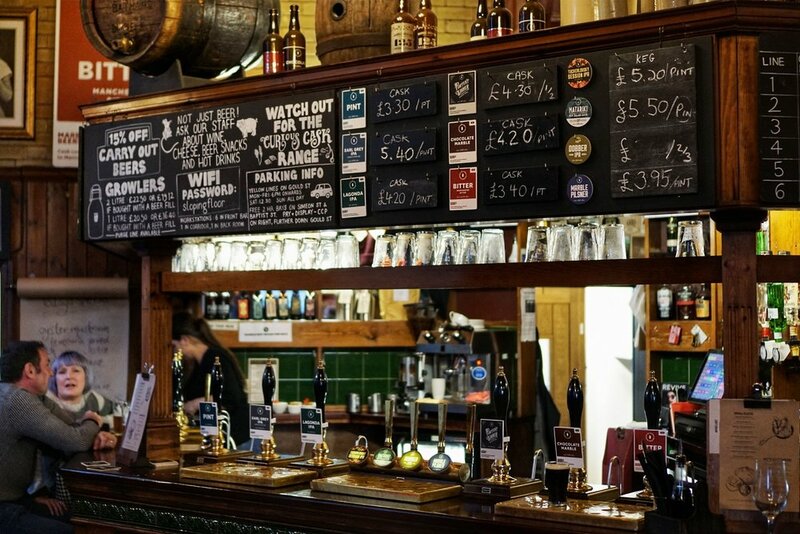 Ask anyone familiar with the city of Manchester what pubs you ought to visit when in the city, and it is a safe bet that The Marble Arch will be high up on their list. This historic watering hole dates from as far back as the 1820s and is a firm favourite in these parts, and with good reason. Birthplace of the almighty Marble brewers, The Marble Arch is without a doubt one of the most beautiful pubs I have ever drunk in. 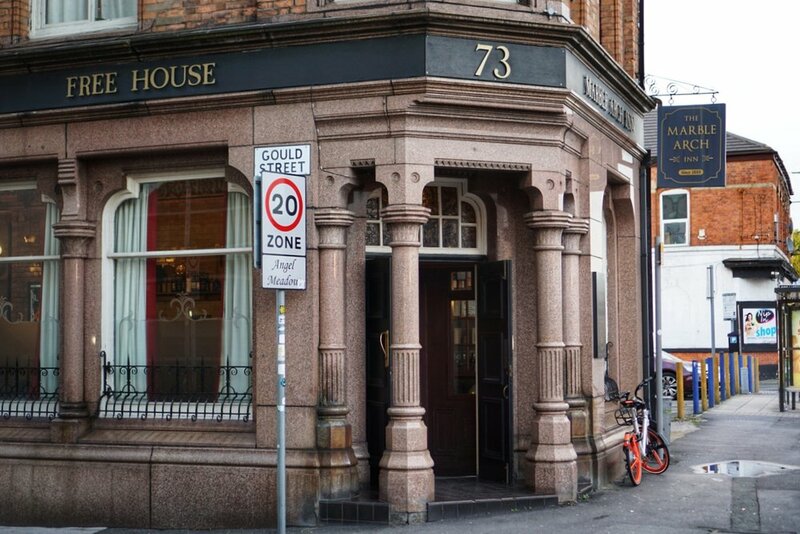 The brewery’s sister pub 57 Thomas Street might be more conveniently located in the city’s Northern Quarter, but it lacks the mystique of this old fashioned boozer. 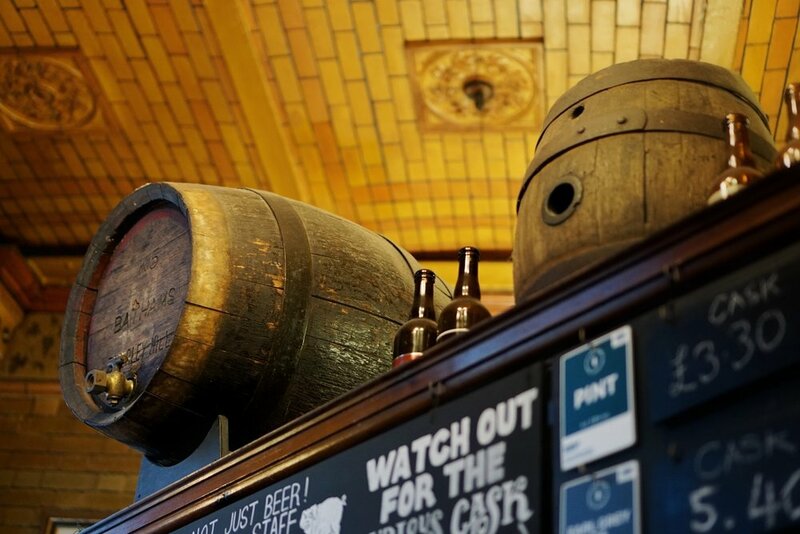 Ornate and traditional furnishings adorn the narrow, sloping main room of the pub, the centrepiece of which is a beautifully crafted wooden bar and no less than 11 handpumps serving delicious Marble beers on cask. I jostle my way to the front of the bar and plump for a pint of Pint, the brewery’s 3.9% session pale ale on cask, trying my best to ignore the gruff local muttering about the price of a pint of bitter being too high (£3.40, for the record, is not too expensive for a pint of the brewery’s exquisite Manchester Bitter). 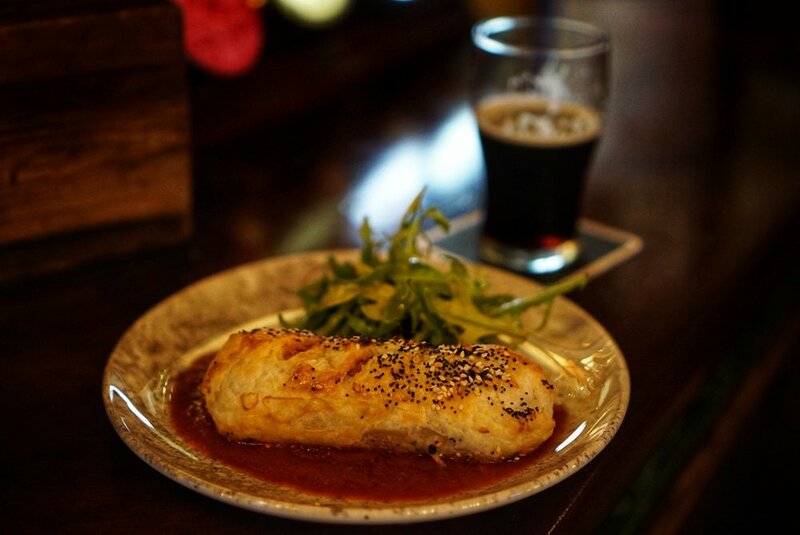 Around the corner from the main room is a separate dining area, where hungry customers gobble down cheesy chips with gravy and posh sausage rolls dipped in chorizo ketchup, and a small but functional beer garden. 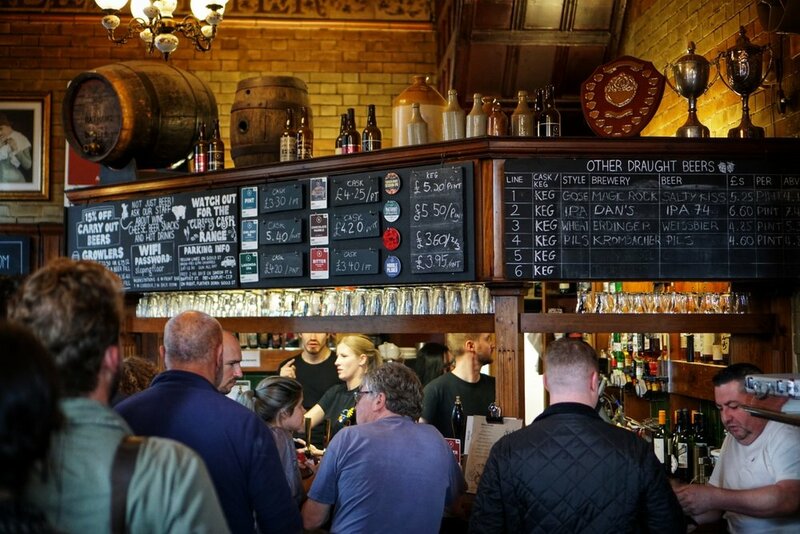 Post Indy Man Beer Con, the garden is full of familiar faces, with employees from London-based breweries Five Points Brewery, Brew By Numbers and Fourpure all taking the opportunity to visit a cherished Manchester institution. Marble celebrates its 20th anniversary with a huge party at the pub this December, and I dare say it is an event many will be making the return trip for.